Marquis, originating from the inspiration of diamond cutting. 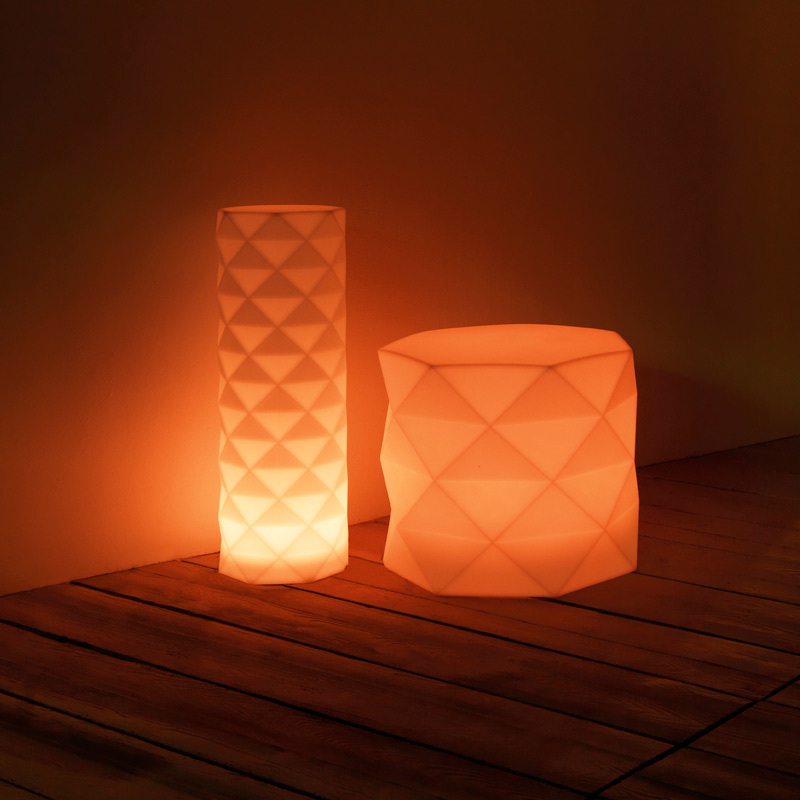 Its polygonal design recalls facets created through cutting. The clear and stylish shapes make a huge visual impact. Circular or oval, and in 2 combinations of colours, they give a space great dynamism. Its soft texture achieved through polyethylene fibers allows for outdoor use, it also being resistant to UV rays. Made of polyethylene resin by rotational moulding. 100% Recyclable. Item suitable for indoor and outdoor use. Available in different finishes.